Elise Hearden is finishing up her first year in the Master of Arts Management (MAM) program at Columbia College with quite a few experiences under her belt. Relocating from NYC to enjoy the rich culture and career opportunities the Midwest has to offer, she is a great example of the self-driven artist. Learn of her adventures, plans and wise words in this interview. What is your current major and expected graduation date? My fiance and I chose to make a life change by moving to Chicago for the thriving and rapidly growing arts scene and its proximity to family. I chose the graduate program that would best set me up for a career in the Chicago community through connections, flexibility, and opportunity. Passion is such a tricky word when you really look at its definition. I am a very passionate individual on many fronts, so to speak. I prefer to focus on what peaks my curiosity, what warms my heart, and what fulfills my every day happiness. I thrive off of the 3 C’s: connection, collaboration, and community. Every pursuit embodies these three words, or at least that is what I strive for. I have rooted belief in arts education and engagement and the enrichment it brings to individuals and communities alike. I am curious about far too many projects and opportunities, often overbooking my life with great zest. I am madly in love with love – love of my fiance, love of my family and friends, every day acts of love, and embracing self-love. Lastly, the every day happiness comes from dance, coffee, wine, sunshine, heartfelt conversations, and bear hugs. The project closest to my heart is serving as Co-Founder/Executive Director of Motivated Movers NYC. We are a codified dance training program designed to create a safe space for professional actors to learn the fundamentals of dance, prepare for specific roles and auditions, and embrace movement on and off the dance floor. Professional theatre is demanding, and it is becoming highly expected that an actor is comfortable with movement. With limited resources for an adult who is not quite ready to walk into Broadway Dance Center and dive in head first, our team is passionate about cultivating a community of support and encouragement that actually breaks dance down to the fundamentals. 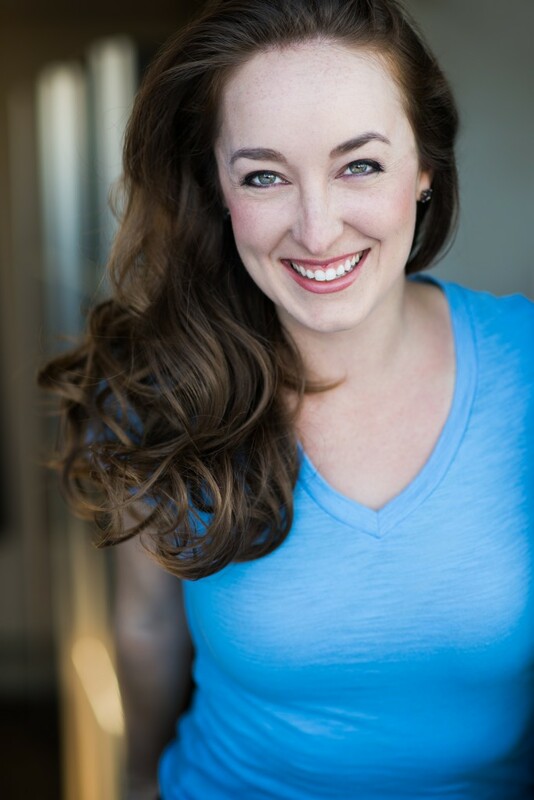 Our Motivated Movers are truly inspiring and can be seen as Christine in the Phantom of the Opera tour, across the country on tours and at regional theaters, tearing up the audition scene in Manhattan as we speak, and diving into original projects. If I could be on the dance floor with them every day, I would. But for now, I am managing the organization from afar and have a dedicated and gracious artistic team fulfilling our mission in NYC. I just started an internship with Prevail Strategic Marketing and Communications and am following my new curiosity of marketing to see where it takes me. One of the many benefits of this program are the internship and career opportunities. The Prevail internship was introduced to me by a professor on campus, and I am excited to use the knowledge gained in the program to propel me forward. I recently finished an internship as Development Coordinator with Chicago Youth Shakespeare. I was able to correlate the internship with my fundraising class last semester to develop a strategic fundraising plan for this young and inspiring youth arts education and training program. Coming up this summer I will be assisting with the opening of a new dance studio in the South Loop, Chicago Dance Academy. It will be a joy to be back on the dance floor teaching creative movement and theatre dance. But possibly most exciting, I am planning my wedding for December 30, 2016. Personally, I have been able to take a little from every class and put it into immediate action through current projects. Having the time to be working on so many projects outside of the graduate work is a huge benefit of this program. Marketing and Fundraising have led directly to opportunities in the city and I am greatly appreciative. For every day happiness and enrichment, I have to say my Leadership in the Arts class has been a surprising and fulfilling experience. What could easily be a dry and possibly unnecessary class has actually been the most rewarding, self-challenging, collaborative, and enriching opportunity. This is entirely due to our inspiring professor and cohorts. In five years I will be happily married and rooted in the city of Chicago, working for (or managing) a regional theatre, expanding Motivated Movers, continuing to teach dance, and soaking up cultural experiences around the city every day. How has being a student at Columbia influenced your path to career success? Columbia is helping me hone necessary skills that were previously weaknesses, such as financial management, and is continuing to grow my network in the city. The creative individuals I am meeting along the way impact me personally, as well as my career directly. “What is meant for me will not pass me by.” (A favorite mantra of ours at Motivated Movers.) Also, “The only way to live beyond our lives is to connect and carve ourselves into the souls of those we love.” (Michael John LaChiusa, Little Fish) I can quickly become a workaholic and have a strong weakness of perfectionism. These mottoes teach me patience, remind me of the bigger picture, and keep my priorities in check. Every program is what you make of it. There are unlimited and impactful resources and connections at Columbia. Seize them. But don’t stop there. Hit the pavement, dive into outside opportunities, and remember those around you. You never know what window of opportunity or individual will lead you one step further down the path you are meant to take.